OUR MISSION IS TO ENCOURAGE PEOPLE TO MAKE THE MORE COMPASSIONATE CHOICE BY ADOPTING A RESCUED RABBIT OVER BUYING ONE FROM A BREEDER. WE STAND FOR KINDNESS AND HUMANE TREATMENT FOR ALL ANIMALS AND ARE AGAINST THE USE OF RABBITS FOR MEAT, FUR AND LABORATORY TESTING. EACH YEAR THOUSANDS OF RABBITS ARE ABANDONED AT LOCAL AREA SHELTERS. RABBITS ARE THE 3RD MOST FREQUENTLY DISCARDED ANIMALS AT SHELTERS AND THE MOST OFTEN OVERLOOKED. MOST ARE DISCARDED BY THEIR OWNERS DUE TO A LACK OF UNDERSTANDING AND KNOWLEDGE OF THESE HIGHLY INTELLIGENT CREATURES. OTHERS ARE DUMPED BY IRRESPONSIBLE BREEDERS. OUR GOALS ARE TO: Increase the adoption rate of rabbits discarded at local Shelters. Increase public awareness of these highly intelligent social creatures as house pets. Educate the public on proper rabbit care. Decrease the overpopulation of rabbits through spaying and neutering. Find forever loving indoor homes for rabbits. 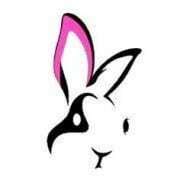 FRIENDS OF UNWANTED RABBITS (FUR) IS A RABBIT RESCUE ORGANIZATION FOUNDED IN 2004. WE ARE DEDICATED TO FINDING FOREVER, LOVING, INDOOR HOMES FOR ABANDONED AND NEGLECTED RABBITS DUMPED AT LOCAL AREA SHELTERS. OUR GOAL IS TO INCREASE PUBLIC AWARENESS OF THESE INTELLIGENT, SOCIAL CREATURES AS HOUSE PETS. WE ARE COMMITTED TO IMPROVING THE LIVES OF COMPANION RABBITS THROUGH EDUCATION ON PROPER RABBIT CARE. WE SUPPORT SPAYING/NEUTERING RABBITS TO IMPROVE OVERALL HEALTH, BEHAVIOR AND TO DECREASE OVERPOPULATION. Would you recommend Friends of Unwanted Rabbits?